Off the coast of Liberia lies an island inhabited solely by chimpanzees that were infected with a barrage of diseases and abandoned there by a testing lab. It sounds like the beginning of a movie, but there’s nothing fictional about this place. New visitors to “Monkey Island” as it’s called by locals—are unwelcome. Apart from a few trusted caretakers who bring the chimps food, anyone who attempts to step foot on the island will face the animals’ wrath. They reportedly act aggressively and throw fruit at tourists as they approach the island. Only those who regularly take the chimps food are allowed near them. Tourists that get too close to the island say they are pelted with mangoes. 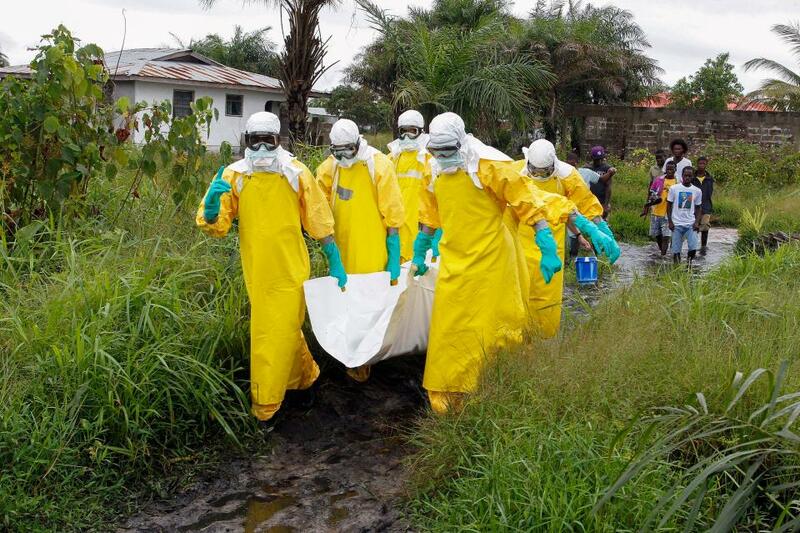 Once chimps tested positive for hepatitis, they were taken directly to the island. Because chimpanzees are notoriously weak swimmers, they are unable to leave the island and rarely venture too far offshore. The lab began garnering negative attention when the public became aware that chimpanzee testing, and testing on non-human primates in general, was often cruel and inhumane. 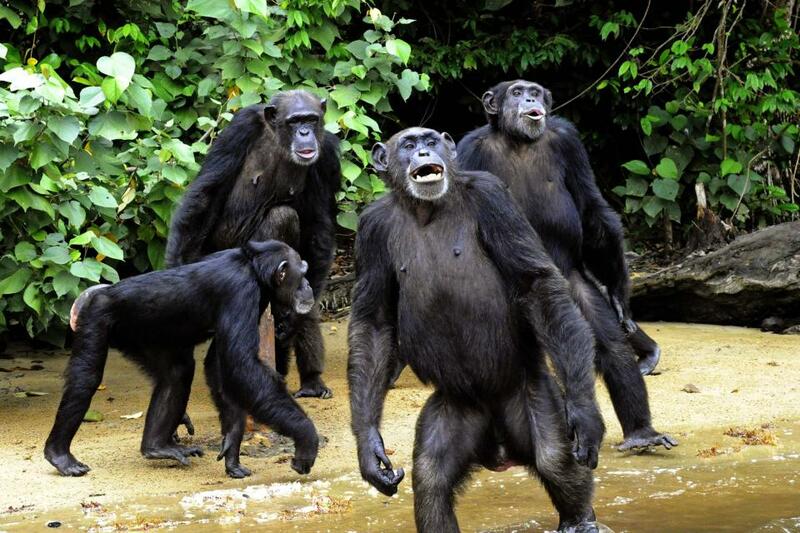 In 2005, the center finally closed the lab due to public pressure and moved the remaining chimps to the island. The animals could not be released back into their natural environment due to their disease exposure, and many were unable to hunt or properly care for themselves due to their lack of time in the natural world. 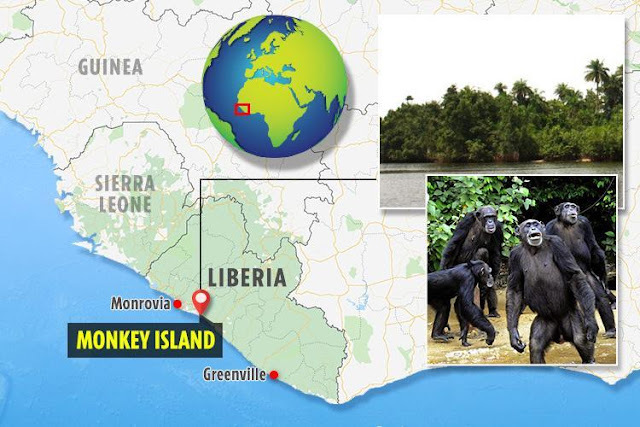 After more than 40 years of experiments, NYBC ended it’s Liberian project following a campaign by animal activists and the chimps were left on the island with little natural food or water. The staff continued to bring food and water to the animals until 2015 when NYBC decided that funding would no longer be made available. 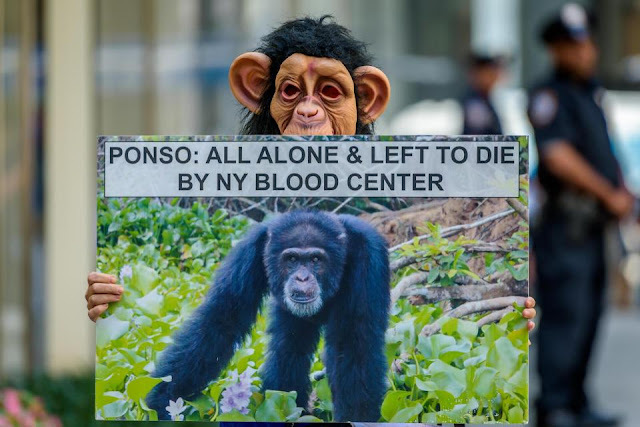 After more public outcry, however, NYBC made an agreement with the Humane Society in 2017, pledging to fund the care of the apes for the rest of their lives. The apes remain on the island today, and receive daily care and food deliveries.